Shopping for a new Honda Passport? Look to the Honda Passport EX-L and higher trim levels for Apple CarPlay and Android Auto compatibility, which really ought to be standard now. The 2019 Honda Passport makes tremendous sense for buyers who don’t need three rows of seats. With its 2019 Passport, Honda hasn’t invented anything new. The five-seat Passport neatly plugs a gap in Honda’s crossover SUV lineup with minimal fuss. It didn’t take much effort for the automaker to create the 2019 Honda Passport: It’s a Pilot with 6.2 inches lopped off its rear end. The new Passport has a different front bumper than the Pilot, black-painted alloy wheels, and a tail end not unlike the Ford Explorer. But it’s built on the same Alabama assembly line as the Pilot and thus shares most of that model’s virtues. The Passport’s name may seem familiar because it is: For about a decade, Honda sold a rebadged Isuzu Rodeo as the Passport in the first SUV boom. The new model shares nothing but a name and five seatbelts with its predecessor. 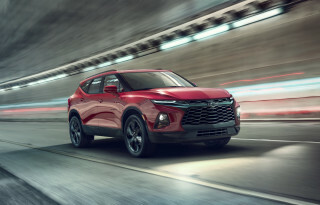 Every Passport—Sport, EX-L, Touring, or Elite—features a 3.5-liter V-6 engine rated at 280 horsepower and 262 pound-feet of torque that shuttles power to the wheels via a 9-speed automatic transmission. (The 6-speed automatic that’s standard in the Pilot isn’t offered on the Passport.) Front-wheel drive is standard on most trims. The optional all-wheel drive accompanied by a 0.6-inch higher ride height for at least a modicum of four-wheeling ability. The Passport is rated to tow up to 5,000 pounds with all-wheel drive an a trailering package. Fuel economy, at 21 to 22 mpg combined per Honda’s estimates, isn’t as impressive. That the Passport drives a lot like the Pilot is no surprise. 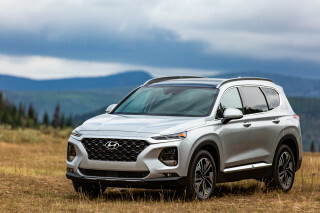 Standard 20-inch alloy wheels give it a marginally firmer ride than some Pilots with smaller wheels, but otherwise the two crossover SUVs deliver similarly good highway cruising ability and composed in-town handling. With all-wheel drive, the Passport is moderately off-road capable, but it hardly rivals the Jeep Grand Cherokee or Toyota 4Runner when the going gets mucky. The Passport may be shorter than the Pilot, but it’s only a little less spacious. At 190.5 inches from bumper to bumper, the Passport is generously sized. Most trims feature a power tailgate that opens to reveal 41 cubic feet of storage space with the rear seat up and nearly 78 cubes with the second row folded flat. The only thing separating the Passport from the Pilot from the driver’s seat is the lack of screaming kids in the third row. Its dashboard shares with the Pilot its design and features such as an 8.0-inch touchscreen for infotainment with Apple CarPlay and Android Auto compatibility on most trims. The interior is functional and spacious, but some hard plastics in the second row don’t impress. Every Pilot includes active safety tech such as automatic emergency braking and adaptive cruise control. Blind-spot monitors are standard on EX-L and higher trims. 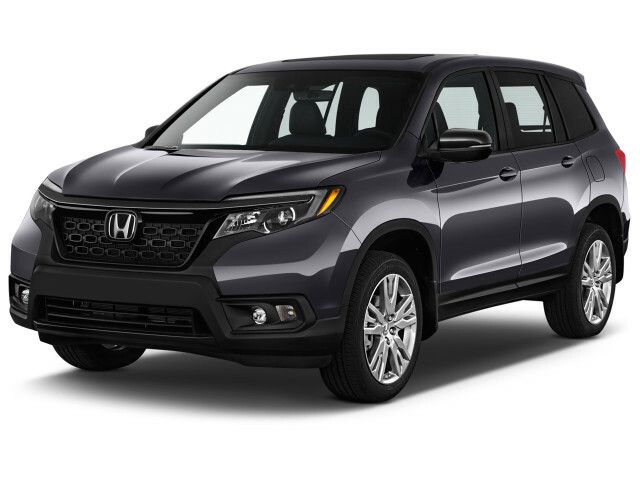 With its truncated tail, the 2019 Honda Passport has a lot in common with the larger Pilot. The 2019 Passport stretches about 190 inches long and rides on a lengthy 111-inch wheelbase. Up front, its bumper has an unpainted “chin” that adds some visual heft but doesn’t integrate all that well with its large grille. LED headlights are standard on all trim levels. The Passport’s side profile may be its best angle. It’s balanced, with a strong character line running between its wheel wells. A big roof rack is optional, but we think it should be standard on a vehicle that some owners may use as an adventuremobile. At the rear, the Honda Passport has a dark chrome trim piece that runs between relatively small taillights and a pair of exposed exhaust pipes. All trim levels come with 20-inch wheels, which seem at odds with the Passport’s off-road-ready positioning. If you’ve been in a Pilot, you’ve been in a Passport. The low dashboard with a handful of buttons grouped around its audio and climate control systems is shared with the Pilot. Honda apparently equates relentless dark trim with and active owners, so the Passport’s dashboard, seats, and headliner can be had in coal-bin black. The base Passport Sport is the only trim with cloth seats and a simple 5.0-inch display audio system. Other Passport trims have leather upholstery and a well-integrated 8.0-inch touchscreen for infotainment. The 2019 Honda Passport has good acceleration and a hint of dirt-road ability. With underpinnings and a drivetrain shared with the Odyssey minivan, the 2019 Honda Passport has good handling and strong acceleration. Just don’t look to take it too far off road. All Passports use a 3.5-liter V-6 rated at 280 horsepower and 262 pound-feet of torque that puts power to the ground via a 9-speed automatic transmission shifted via a smattering of confusing buttons on the center console. Conventional shift knobs work just fine and occupy the same amount of console real estate, so Honda’s insistence on using this arrangement is perplexing. The V-6 is a refined, luxurious operator. At higher engine speeds, a high-pitched whine enters the cabin, but it is otherwise nearly silent and gives the big Passport good acceleration. The Passport’s best virtue is its smooth, composed ride—even with the standard 20-inch alloy wheels that have fairly small sidewalls. Those tall wheels don’t endow the Passport with sports car handling, but it is comfortable and confidence-inspiring on winding roads. Oddly, Passport Sport and EX-L trims feature slightly narrower tires than Touring and Elites. We’ve only driven the Passport Elite with the wider tires and thus cannot comment on the narrower rubber’s impact. We spent a lot of time off-road in the Passport during an initial preview drive near Moab, Utah, and found it to be a sufficiently formidable four-wheeler on unpaved roads. 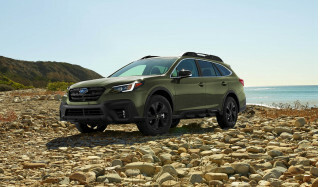 The standard four-mode drive system on all-wheel-drive Passports features Normal, Sand, Snow, and Mud settings that tailor the traction control system, throttle, and transmission for each type of terrain. Without low-range gearing, the Passport is little more than a tall wagon with enough clearance to go over some rocks, but that’s all most buyers are likely to ask of it. Notably, front-wheel-drive Passports sit 0.6 inches closer to the ground than all-wheel-drive versions and they can’t tow as much. Honda rates the all-wheel-drive Passport at 5,000 pounds with an optional tow package compared to 3,500 pounds with front-wheel drive. The 2019 Honda Passport uses its spacious interior well. Lop six inches off the tail of a Pilot and, it turns out, you don’t lose much utility. From its front bumper to its rear seat backs, the 2019 Passport is nearly identical to the Pilot. That means drivers have good outward vision, a comfortable, height-adjustable seat, and plenty of leg and head room. Rear-seat passengers are similarly pampered with wide-opening doors and stretch-out space. The Passport comes only as a five-seater, so it has plenty of cargo space: about 41 cubic feet with the second row upright and nearly 78 cubes with it folded. A bin with two wells for hidden storage is located under the cargo floor, but we wish it was easier to remove for cleaning or even toting groceries into the house. Where the Passport doesn’t score any points is in its interior trim. Nicely grained, soft-touch surfaces are found only in the first row, and even those don’t impress for the nearly $40,000 Honda charges for the Passport EX-L we recommend. 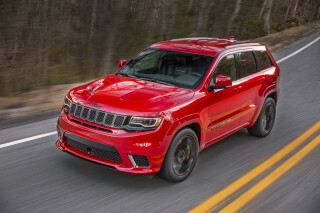 The Jeep Grand Cherokee and Ford Edge generally feel more special inside. The 2019 Honda Passport hasn’t been crash tested, but its feature set is promising. If the Pilot is anything to go by, its 2019 Honda Passport little brother should do well in crash tests. We feel confident that the Passport will earn good marks from federal and independent testers when they smack a few of them into walls. The Pilot is a Top Safety Pick with certain headlights and earned five stars overall from the NHTSA. Since the Passport’s passenger compartment is largely identical, those scores are likely to carry over. No Passport wants for life-saving crash-avoidance tech that some rivals make optional. Automatic emergency braking, adaptive cruise control, and active lane control are standard. EX-L and higher trims come with blind-spot monitors, too. A surround-view monitor is a surprising omission from the options list given the Passport’s plump dimensions compared to passenger cars, however. 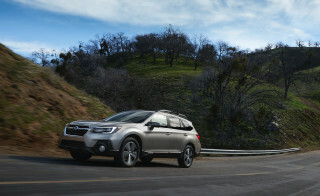 Skip the base 2019 Honda Passport Sport in favor of other models with more features. The Passport Sport costs about $33,000 with front-wheel drive. All-wheel drive is a $1,900 option. 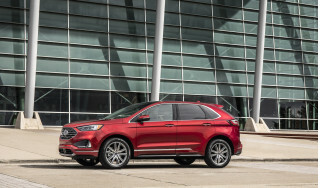 Standard features include 20-inch alloy wheels, cloth upholstery, LED headlights, a power driver’s seat, two USB ports, a 5.0-inch display audio system and active safety tech. We think the best buy here is the Passport EX-L for about $37,500 or $39,400 with all-wheel drive. It adds leather upholstery, a power moonroof, a power tailgate, heated front seats, an extra USB port, and an 8.0-inch touchscreen for infotainment with Apple CarPlay and Android Auto compatibility. Spending more doesn’t necessarily bring features we think are essential. The Passport Touring crests $41,000 with front-wheel drive and includes navigation, a handsfree tailgate, parking sensors, heated rear seats, and upgraded speakers. Topping the lineup, the all-wheel drive-only Passport Elite costs $44,700 and has cooled front seats, a wireless charging pad, and a heated steering wheel. Preliminary estimates suggest the 2019 Honda Passport will be fairly thirsty. Even with its 9-speed automatic transmission, the 2019 Honda Passport is not especially miserly. Honda estimates that front-wheel-drive models will be rated at 20 mpg city, 25 highway, 22 combined. All-wheel drive dings those figures to 19/24/21 mpg. Many competitors are thriftier. All-wheel-drive Ford Edges are rated at 23 mpg combined and the Nissan Murano checks in at 24 mpg combined. Looking for a different year of the Honda Passport?